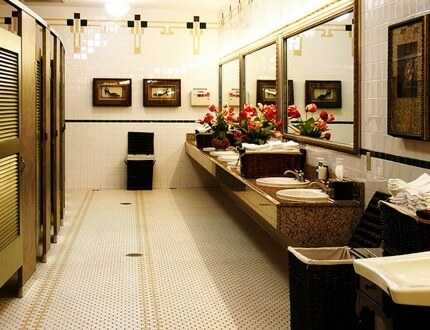 Having a well maintained and clean washroom in your workplace can say a lot about your business. Not only that, a clean washroom is important for ensuring that your employees and your customers are comfortable using them. When you are creating a washroom that is not only comfortable and hygienic but welcoming to the users, it’s important that there is a suitable sanitary waste disposal system in place. The first thing to make sure when considering a DIY sanitary disposal system is that you have the right equipment available. This includes lids on the bins which seal properly, in order to make sure that there are no horrible odours. It’s also important to make sure that these bins are emptied regularly. On top of that, it’s important to provide signs to let the users of the washroom know where they should be disposing of their sanitary items. If this isn’t done, then you run the risk of these items being flushed and having to pay for a plumbing service. Sanitary disposal units are properly sanitised with an anti-bacterial liner, ensuring maximum hygiene is in place and a pleasant fragrance is provided at all times. Most importantly, all sanitary bins are emptied on a regular basis. The feminine hygiene service which is offered by Fresh & Clean is in place to ensure that both your female employees and your female customers are comfortable with your washrooms. For convenience, the bins will be wall-mounted and easily recognisable. If you offer a changing facility, Fresh & Clean have a hygienic nappy disposal system in place which is equally as safe and hygienic as the sanitary disposal systems. If you work in a school, for instance, make sure that you dispose of school washroom waste properly and that your school washroom is a safe and healthy place for all the staff and students. Experience hassle-free waste disposals, avail Alsco’s fully-managed sanitary disposal system. Enquire now!